Some of the greatest things in life are mash-ups. Hungry? Eat a plate of tot-chos (nachos on a bed of tater tots). Thirsty? Pour a refreshing Arnold Palmer (half iced tea, half lemonade). Need a little exercise? Take your labradoodle (lab and poodle) or good old fashioned mutt for a brisk walk outside. The same is true of destinations. 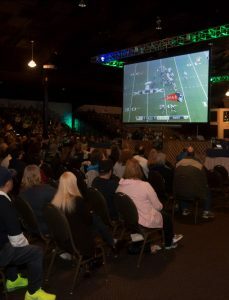 There are now movie theaters that serve meals, video game arcades for the 21+ crowd, and—thanks to Little Creek Casino Resort—a concert venue, award winning golf course, casino, event center, and luxurious spa all under one roof. This year’s Super Bowl LIII takes place on Sunday, February 3. The participating teams are all still battling for supremacy, but party planning is well underway. Promotions Coordinator Jennifer Brines says things will kick off at 2:30 p.m in the Skookum Creek Event Center. A $25 ticket scores you drink specials, an all you can eat sports buffet, prize drawings and the big game shown on four jumbo screens. Over on the casino floor there will be cash and prize drawings for all Players Club members. Anyone can join and you’ll earn promotional benefits like free check cashing, birthday offers, concert pre-sale opportunities, and valet parking. Super Bowl gaming specials start at 11:00 a.m. and regardless of who wins the trophy, the evening closes with a festive victory party. 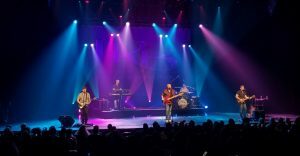 Come back after the Super Bowl to rock the night away with Australia’s Little River Band on February 21. 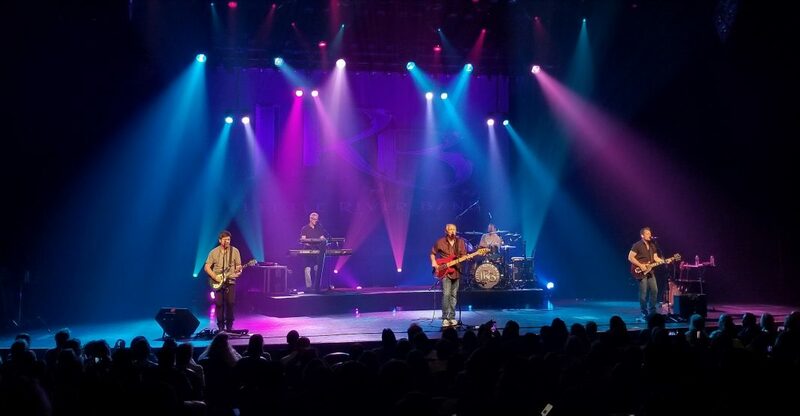 Before, during (though don’t miss halftime), or after the game pop over and get your tickets for the Little River Band, performing on February 21. Doors open at 6:00 p.m. and seats range from $30 to $40 each. If gray winter days make you fuzzy-headed and forgetful, purchase tickets online now and guarantee your spot well in advance. Give yourself time before and after to explore all of Little Creek’s amazing dining and entertainment. 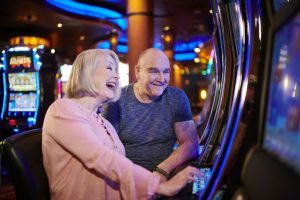 Check out the gaming promotions calendar for specials like Double Points Tuesdays, Pigskin Pick Payouts on Sunday and Monday, and Primetime Play for those aged 50+ on Monday, Tuesday, and Wednesday. Then swing by one of the many delicious on-site restaurants, cafes, lounges and bars. The Creekside Buffet and Island Grille are open for breakfast, lunch and dinner. The Squaxin Island Seafood Bar is your source for amazing local seafood. Hungry but don’t want to miss a beat? 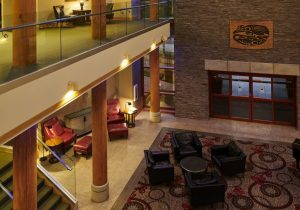 Try quick bites at the Salish Cliffs Grille or Water’s Edge Café or a jolt of caffeine from Little Creek Espresso.